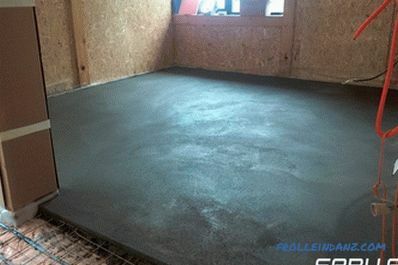 A semi-dry screed, like a regular one, is used to level the subfloor under different coatings or to be used as an industrial floor after sanding and painting with special paints on concrete. The changes concern only the technology of installation, which is caused by some innovations made in the traditional formula of the solution. Compared with the usual method of pouring concrete or cement-sand mixture, the semi-dry method has several advantages, but it is not without drawbacks. You will learn about all the pros and cons of the semi-dry floor screed by reading the article below. When analyzing, it may seem that the shortcomings of the semi-dry floor screed are very significant, but if that were so, then it would not be so widespread, especially in industrial construction. Among all types of screed, semi-dry is intermediate between normal (wet) and less common dry . From the usual screed, it differs in lower water content in the finished solution. 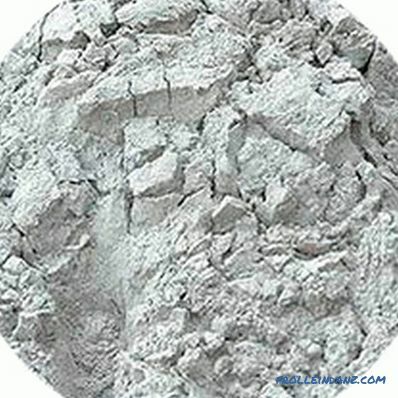 The remaining components, cement and sand, are used in conventional proportions and the strength of the semi-dry mixture after solidification is almost the same. Coarse sand with fractions not lower than 0.25 mm. 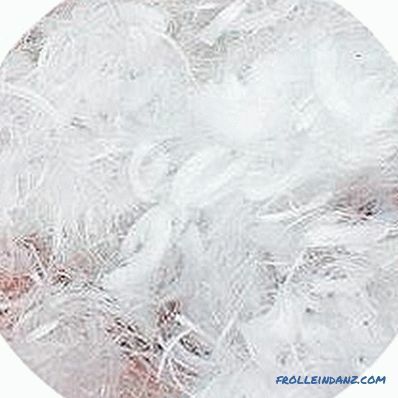 Mineral fiber with a length of 12 mm. Water is added in such an amount that the dry mixture becomes plastic and a lump can be made of the material. In general, the amount of water is determined by the recipe, but you can use this simple method to determine the readiness of the mass. Another component that is not used in other types of screeds is microfiber — special propylene fibers that are mixed with the bulk of the solution. 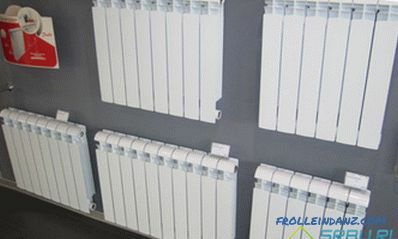 Although they are small in size (thickness and length), they firmly reinforce the solution and, after drying, prevent cracks and chips. By mechanical tensile strength, bending and impact, the screed becomes similar to reinforced concrete. If there are pipelines, cables and other communications and structural elements in the array, its thickness should be such that the solution covers the structures at least 1 cm. This ensures sufficient protection of communications and proper resistance of the construction of the screed to deforming influences, for example, when expanding pipes of underfloor heating or thermal movements as a result of heating by electric cables. In the classic case, a semi-dry screed is a mixture of factory preparation, which is supplied to the place of use by special pumps through pipelines. The plasticity of the mass allows it to be raised to a height of 30 floors, which practically removes restrictions on the use in high-rise construction. This is one of the main advantages - the mass is fed to the entire area at the same time, excluding its manual movement with buckets or stretchers. The plasticity of the composition makes it easier to level and grind the surface, and the presence of polymer fibers prevents cracking. Accelerated drying, due to the reduced amount of water, allows you to work quickly and begin to operate the surface much faster than with conventional methods of mounting the base under the floor. 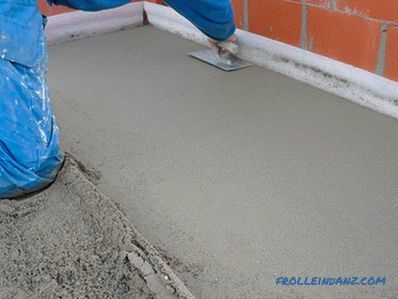 When preparing the mortar for screed, it must be borne in mind that the presence of chlorine and fluorine in water significantly impairs the strength of the finished layer. Water should not be taken from the city water supply, but from natural water bodies or deep wells, as, indeed, for the preparation of any other solution, the strength of which depends on the result of construction. The main positive sides of a semi-dry screed manifest themselves when it is industrially laid using special equipment that allows the mixture to be fed through pipelines up to 200 m in height and up to 100 m in height . Smoothing and grouting of the mixture is done immediately after filling the floor area and does not require a time interval for setting. The physicochemical processes that take place inside the screed array are the same as in the ordinary solution.But there is a little moisture here - just enough for all the cement molecules to hydrate and take part in setting the mortar. 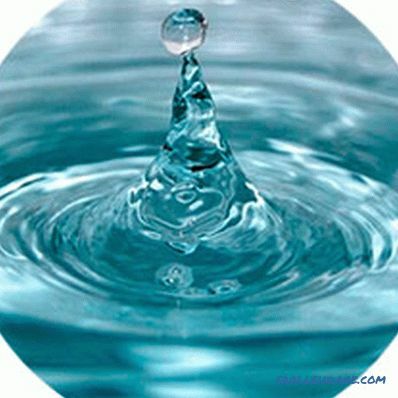 Water practically does not evaporate from the surface - it is all involved in chemical bonds. 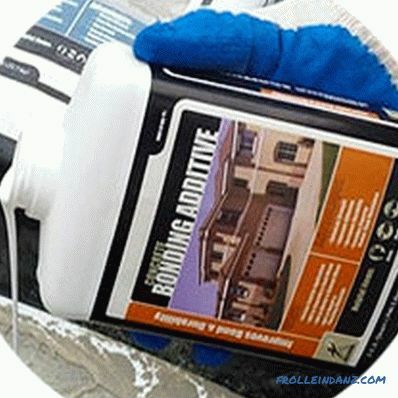 This reduces the time it takes for the screed to dry - the surface can be used 12 hours after installation and leveling. But flooring should be done with some precautions. Although the humidity of the screed is low, it contains enough water to create an unfavorable environment for wooden structures. 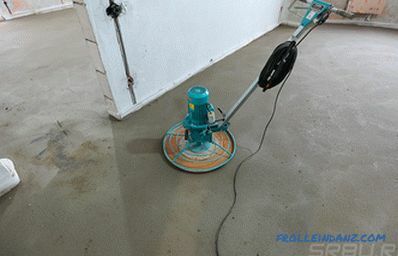 Therefore, porcelain concrete, tile, linoleum can be laid 2 - 3 days later after finishing the floor leveling with a semi-dry screed, but wooden floors, parquet and laminate can be laid 10 - 14 days later, waiting for all moisture to evaporate not only from the surface, but also from the scope of the screed. It is necessary to take into account the fact that the layer thickness should be at least 5 cm. When the area of ​​the room is from 10 to 75 m 2 moisture it contains a little, but to remove it to the level safe for wood, need at least 10 - 14 days. 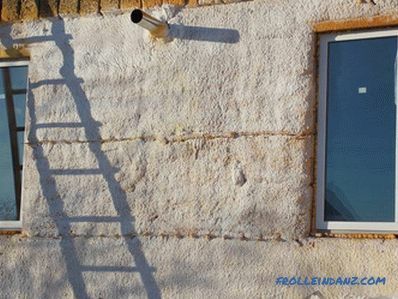 The consistency of the mortar and the presence of fiber-reinforcing fibers in the composition eliminates surface subsidence during drying, the formation of voids and cavities inside after water evaporates (there is simply nothing to evaporate) as a result of uneven drying. 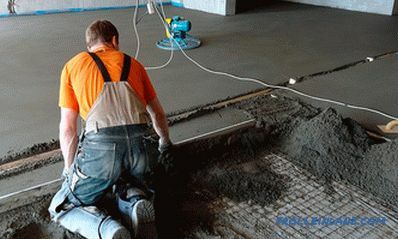 The use of grinders when grouting the surface of the screed additionally seals the outer layer and the screed turns into practically waterproof monolithic concrete. During the subsequent laying of self-leveling floors made of epoxy or polymeric materials, their consumption is significantly reduced - the base porosity is very low and the bulk mass practically does not penetrate the screed. However, this does not affect the level of adhesion - the coating is glued to the semi-dry screed no worse than normal. The material features allow you to set it with high accuracy - after grinding, the deviations in height do not exceed 2 mm per linear meter of length. If we take into account the high cost of the self-leveling floor, reducing the consumption of material leads to significant savings, which will exceed the costs of using special equipment. Another positive aspect of using a semi-dry screed is cleanliness of work. In addition to the absence of contaminating splashes and drips on the surface, a small amount of water in the mass excludes its flow through the joints of the floor panels to the lower floors. This makes it possible to use this version of the screed in case of repair, when the ground floor has been fully finished. Compared to a completely dry screed, the risk of water entering the lower floors is somewhat greater. But the dry screed in the classical form when performing industrial construction is practically not used. Its scope of application - country and frame houses, low-rise wooden construction, cottages. Due to the plasticity and density of the solution, as well as the ability to maintain the given shape, the semi-dry method of mounting the screed allows you to continuously perform the process when preparing the bases for different coverage. In the case of a liquid cement-sand mortar, such work is much more difficult to perform at one time — a considerable time interval or arrangement of formwork will be required, which, in turn, requires an interval of time and additional material costs and payment for work. Mechanical feeding of the finished solution of the same consistency and chemical composition makes it possible not to limit the maximum installation area of ​​the semi-dry screed. This method is appreciated by large construction organizations, as allowing to reduce construction time. The composition of the semi-dry screed components and the monolithic structure significantly increase the surface resistance to abrasion. Even when used as an uncoated industrial floor, the surface is not dusty and is not damaged when using warehouse or workshop equipment on pneumatic or plastic wheels. When exposed to the surface of the screed, the load is distributed evenly and the whole structure of the room is less deformed.Some porosity of the screed array also exerts lower loads on the underlying layers of the base or floor. The porosity of the screed array and the presence of mineral or polymer fibers increase the heat and sound insulation properties of the material. This allows you to save on the use of additional screen absorbers and heat-shielding materials on the floors - their layer can be made thinner or eliminated altogether. 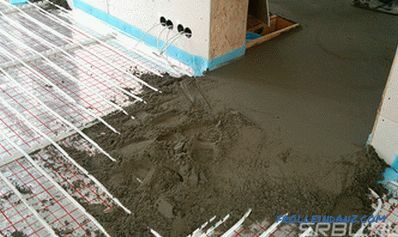 But thermal properties do not prevent the use of semi-dry screed as the basis for installing underfloor heating. A small layer of fiber-reinforced concrete on top of pipes or cables does not reduce the efficiency of the heating system. In terms of ecology, a semi-dry coupler should be considered both from the operating point of view and in the context of the construction process. very well cleaned and cleaned, without wearing out, even when using moderately active detergents and light abrasives. When heated by direct sunlight, it does not deform, crack or collapse. Also indifferent semi-dry screed to low and high air temperatures. When heated, the material behaves akin to concrete, without emitting volatile compounds and allergens. Polymer and mineral fibers are firmly bonded with cement and are not discharged in the form of dust, even with strong mechanical effects on the surface. Construction work is also quite safe - the entire preparation of the mixture takes place in a special closed container - a mixer. Supply is carried out by sealed pipelines that do not affect the environment. When smoothing and grouting a wet surface, dust and sprays that irritate the airways or mucous membranes of humans are not formed. The cost of a semi-dry screed is lower than wet, and even more so - dry. The most noticeable economic effect is manifested when it is installed on areas more than 100 m 2 . Such volumes allow to maximize the use of equipment and reduce labor costs for the production of 1 m 2 finished surface. At manual preparation of solution and laying without use of special vehicles, the cost is almost equal to the usual, wet, but all the main advantages remain. One of the drawbacks is quite high cost if the work is carried out in limited areas. For example, the cost of installing such a screed in a private house may be several times higher than wet, even with self-preparation of the solution. 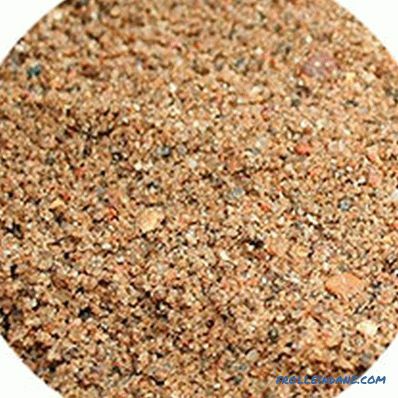 To prepare the solution, special sand is needed, whose deposits are quite rare. Delivery of sand over long distances significantly increases the cost of the mixture, especially if it is needed a little, about 1.5 - 2 m 3 . But if the screed is installed on a large area, then the sand is delivered by heavy trucks, which somewhat reduces its cost. The same picture with cement - buying several bags of cement will cost more than a wholesale batch with delivery. It is difficult and to prepare the necessary solution on the spot, for this it is necessary to deliver the necessary equipment to the site. Equipment rental costs some money. 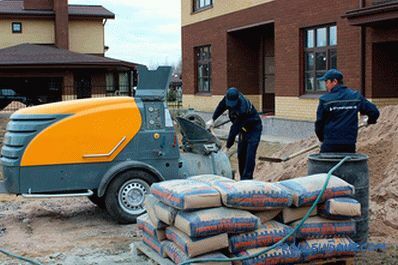 When installing a wet screed, the costs are much lower - any sand is suitable, a simple concrete mixer is enough for making the mixture, there is no need to order pneumatic pressure equipment. But again, this minus is noticeable when working in small areas or objects that are far from each other. In the case of industrial construction of a multi-storey building or a cottage settlement, these costs are leveled and the cost price per square meter of the screed is significantly reduced. The second minus when working with a semi-dry screed is associated with air temperature. It can be mounted only at a positive temperature or in heated rooms, in which the base for the screed is also sufficiently heated. But here, waiting for "pitfalls". All equipment for preparation of solution, as a rule, is on the street. At low temperatures, the sand freezes to lumps and boulders, which are difficult to crush by hand. There are difficulties with the delivery of water.Although it does not require too much, it is still impossible to store it in tanks, and hoses and pipes freeze very quickly. In conditions of large construction, the exit is quite simple - to install the equipment in a heated temporary room, heated by air guns. It is usually sufficient to warm the air inside to +5 - 7 0 C so that you can prepare the solution without obstruction. In pipelines, it will not freeze in motion - the heat capacity of the cement-sand mixture is high enough and before it arrives at its destination, its temperature will have time to drop by only 1 to 3 degrees, which is not critical. In large cities, when building in the conditions of dense development, a new difficulty arises - there is a shortage of space for installing equipment and storing large quantities of raw materials. But with the proper organization of the construction site, this disadvantage is eliminated very simply. 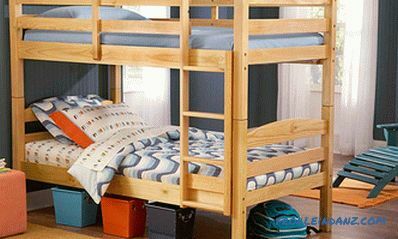 Perhaps a large number of options, it all depends on the specific conditions at the construction site and the ingenuity of engineers and foremen. One of the main drawbacks determined by the characteristics of the mixture is insufficient fluidity. If in the pipeline, the mass supplied under pressure flows quite tolerably and even sometimes behaves like a liquid, then in a free state it spreads rather badly. 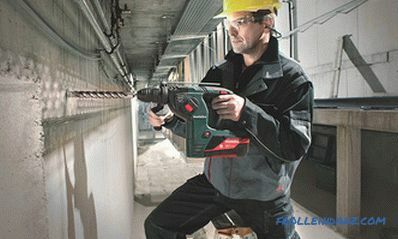 This causes difficulties with filling corners, lines of contact with columns, walls and racks. 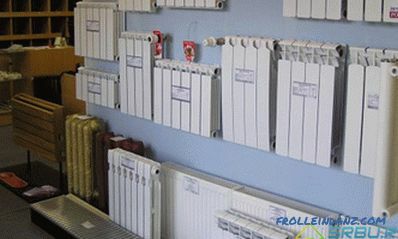 Eliminating this disadvantage is also quite simple, but, like all additional actions and materials, it costs a certain amount of money and increases the cost price per square meter, however, it is not critical. In order to increase the fluidity, plasticizers are added to the composition - special chemical reagents that have virtually no effect on the hydration process and do not reduce the strength of the finished coating. Plasticizers only slightly increase the fluidity, which is usually quite enough for the solution to lay as it should. If this is not enough, at the initial stage of supplying the solution, you can manually tamp the mass at the junction points. As a rule, the length of the lines of contact with the wall is not too long, so the task is quite feasible and the cost of the screed and the speed of the work is affected by little. The only thing that is not recommended is to add water to the solution. In this case, the mass becomes too liquid and the screed in places of moistening will have a low strength. The next drawback is hydrophobia. Prior to complete drying, contact with water should be completely eliminated and fluid exposure should be limited during further use. The fact is that the process of hydration with a lack of water is slow and not completely. There always remains a certain percentage of unreacted cement molecules that are ready to interact with water upon contact. As a result of this, the screed may crack and swell, which is undesirable before it is coated with paint or self-leveling floor. It is not recommended to make a semi-dry tie with a thickness of less than 5 cm. This is also associated with the processes occurring within the mass. If the layer is too thin. Then the water evaporates faster than the solution sets and it does not have time to stick to the base. As a result, there are detachments, often quite significant in area. But even more than 7 cm layer thickness is impractical because of the large weight of the material - square meter with a thickness of 7 cm. Weighs more than 120 kg. Such loads on the overlap are undesirable; a layer can be made thicker except on the ground or a bulk foundation. Often the filling with expanded clay or pouring with expanded clay concrete under a semi-dry screed is also used on ceilings if it is necessary to raise the floor. Often, for various reasons, the screed is not sufficiently compacted, which leads to partial destruction after installation of the floor covering, squeaks and noises. To prevent this from happening, you should take full responsibility for smoothing and grinding the surface. Timely use of grinding machines will allow to seal the material to the required limit. In order to eliminate a greater number of undesirable phenomena, it is necessary to stack the coupler strictly according to the technology. The slightest deviations lead to cracking or peeling. Carefully follow the proportions of the components, especially the amount of water. Excess moisture, like its deficiency, is equally undesirable. In case of an excessive amount, the tie loses its density, becomes less durable and shrinks and cracks. If the water is low, then hydration does not occur in full, which leads to the appearance of pores and cavities. Part of the flaws, which are often cited by opponents of the semi-dry screed, are not, in fact, flaws. An example is a non-uniform density - the base of the screed is looser than the upper part.The density gradually increases from bottom to top due to the low fluidity of the material. The average density of the dried screed is up to 1800 kg / m 3 , which is slightly lower than that of liquid concrete (sand / cement, without mineral fillers). In studies, the tensile strength of a control cube of a semi-dry screed is up to 150 kg / cm 2 , which corresponds to concrete M150 recommended for equipment of foundations for floors. Regarding the accusations that a semi-dry screed forms an uneven surface that needs to be leveled with a self-leveling floor, this is not entirely correct. If you use beacons and serviceable grinders, then any floor covering can be laid without leveling in bulk. 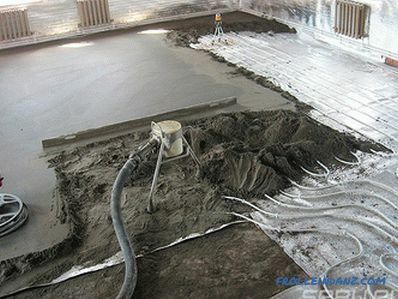 In the general case, after laying a semi-dry screed, only its positive qualities appear, you should use high-quality materials and precisely follow the technology requirements. It should also be noted that any of the building technologies, including the most innovative, does not consist of some advantages. You can always find something that does not suit you and is not suitable for a particular application. It is the knowledge of all positive and negative qualities that allows you to choose options for one or another method of construction, in this case - arrangement of the screed.